Silicone lids are a great way to cover your food if you have lost your container cover or you need a bowl cover. 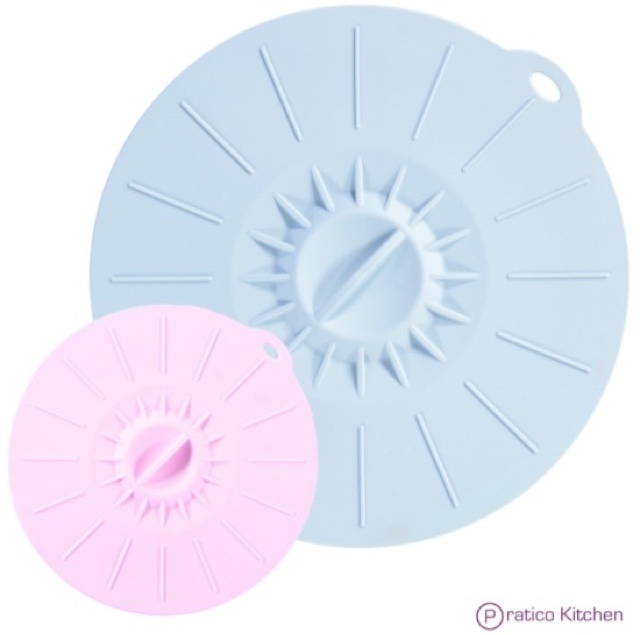 These EZ-Lids are reusable food grade silicone that create an airtight seal. It's a great way to store food or to use to reheat food. To use simply place the EZ-Lid food cover on a smooth surface container like ceramic or melamine and then push down. These are dishwasher safe, microwaveable and easy to clean. They are sold on Amazon.com for $9.99 for 2 lids, a large and a small one.